Everything in Quinta do Bucanero is geared towards couples and romantic celebrations framed by the beauty of Praia do Rosa. The music, the atmosphere, the attention to detail and the expertise that made us reference as one of the best inns for couples in Brazil. 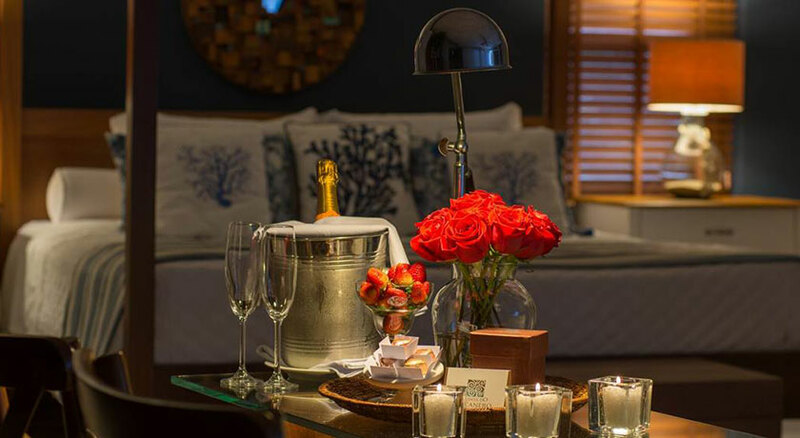 In Check in, in his apartment a bouquet of red roses, truffles, strawberries, candles, perfumed sachets handcrafted with roses aroma, and a small pillow embroidered with a poem by Carlos Drummond de Andrade, to be taken by the bride and groom as a memory. Wedding slip on embroidered Egyptian cotton, 360 threads and white slippers. 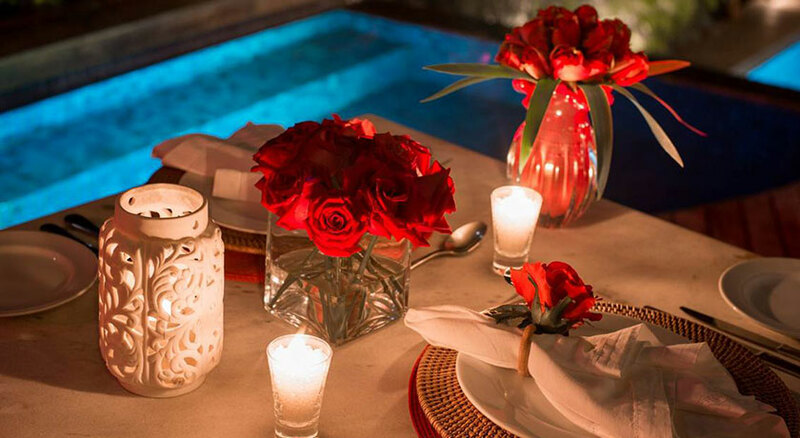 Simultaneous massage for the couple, followed by a whirlpool bath prepared with salts and rose petals in our Buccaneer Club. 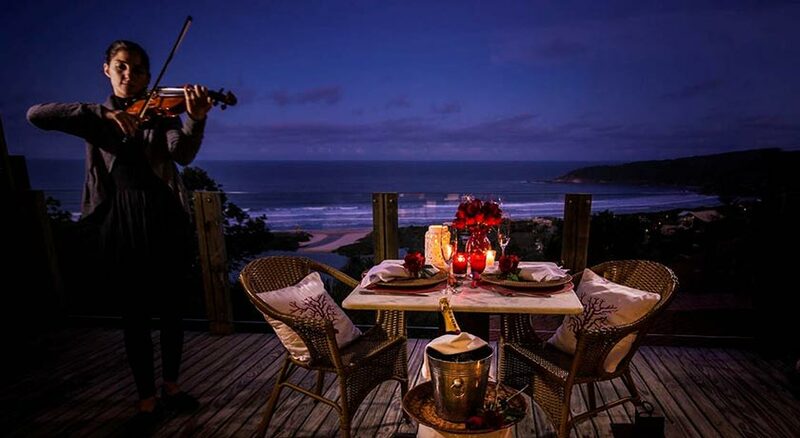 Live violin accompaniment for breakfast served the day after arrival or at dinner. Value: R$ 100.00 + 10% service fee.